Dartmouth rugby bested Harvard, 43 - 22 in the Ivy League Championship game, on a cold Hanover afternoon, to claim its 11th consecutive Ivy League title. After exchanging penalties in the first few minutes, Luke Bienstock ’20 who had three tries on the day gave the Big Green an 8 - 3 lead about twenty minutes in. Patrick Sheehy ’20, minutes later, slotted his second of three successful penalties in the game, extending the lead to 11 - 3. The physical battle continued through the end of the first half, with hard running and steadfast defense by co-captain Steve Hinshaw’18 and several crucial turnovers forced by captain Benji Hannam’18. Another try by Struan Coleman’19 sent the Big Green into the locker room at halftime with a 16 - 3 lead. Harvard would score early on in the second half to cut Dartmouth’s lead to 16 - 8, but Bienstock’s second try which came off of an interception would turn the momentum back around behind the Big Green. Julien Johnson ’18, Bienstock, and Oliver Engelhart '18 all added tries minutes later, surging the Dartmouth lead to 40 - 8. 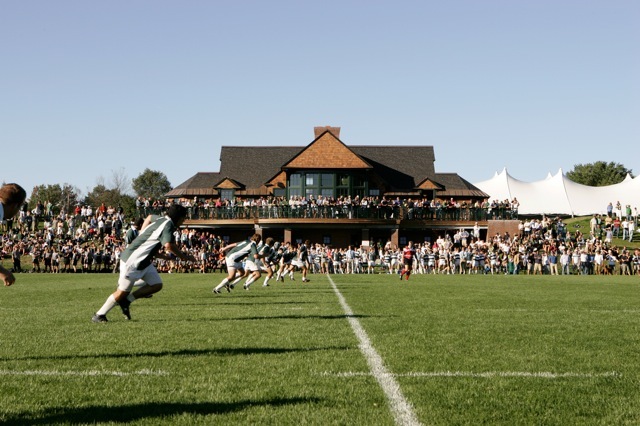 Benny Goodman ’18 came on in the second half to add speed to Dartmouth’s attack and Dartmouth, although conceding a pair of tries in the final minutes of play, held on for it’s eleventh consecutive Ivy League Championship and another season of undefeated Ivy League XVs play.